However, we believe that the hospitality Poland is famous for requires that you have a clear picture of what the Polish Presidency of COP19 stands for. Poland is the second largest coal producer in Europe, after Germany. In 2012 Poland produced 158 million tons of coal, which typically accounts for around 20 percent of total coal production in Europe. Also in 2012, 83 percent of electricity produced in the country was derived from coal burning (pdf). According to recent energy mix scenarios prepared by the Chancellery of the Polish prime minister, Poland plans to continue to base its energy system on coal: even after 2050, it is currently envisaged that 60-80 percent of Polish electricity will be produced from coal. Hard coal and lignite in currently tapped deposits are being gradually exhausted, so there are plans to prepare and realise the use of several new deposits by 2030 (pdf): the hard coal deposits of ‘Bzie-Dębina’, ‘Śmiłowice’ and ‘Brzezinka’, and the lignite deposits of ‘Legnica’ and ‘Gubin,’ as well as the satellite deposits of operating mines. Poland’s former chief geologist and former deputy minister of the environment has said that the Polish Energy Policy to 2030 will lock Poland into an economic model that dates from the beginning of the twentieth century. Of the EU-28, Poland is leading the way when it comes to the number of new hard coal and lignite power plants being planned. This is due to Poland’s largely outdated energy system, where two thirds of the installed generation capacity is more than 30 years old. In order to tackle this, at present 12 GW of new coal and lignite capacity is planned. According to Dr. Michał Wilczyński, Poland’s former chief geologist and former deputy minister of the environment, the new coal and nuclear power plants planned within the Polish Energy Policy to 2030 will, for at least the next 80 years, lock Poland into an economic model that dates from the beginning of the twentieth century. Once you scratch below the rhetorical surface it emerges that Poland imports a significant share of the hard coal it uses. Large deposits of coal, it is claimed by Polish officialdom, are playing a major role in ensuring Poland’s energy security (pdf). However, on the contrary, once you scratch below the rhetorical surface it emerges that Poland imports a significant share of the hard coal it uses: in 2011, the country imported 15 million tons of hard coal, while 76.4 million tons was extracted in Polish mines. According to Dr. Wilczyński, by 2030 the extraction volume of hard coal in Poland will be less than is imported. Growing imports result from the discrepancy between the price of Polish coal and coal prices on the international markets. Polish prime minister Donald Tusk continues to insist that Poland will continue to base its energy system on coal, because lignite in particular is the cheapest source of electricity. However, of course, Tusk and his advisers – not to mention the vocal coal lobby in Poland – fail to take into account the hidden social and environmental costs racked up by producing power from lignite – huge costs being paid daily by Polish society. According to Professor Mariusz Kudełko, these so called external costs associated with lignite power plants, and specifically from the two planned open-pit mines Legnica and Gubin, would amount to PLN 10 billion annually. The calculation considers harm to human health, materials, farming, biodiversity and land use changes. Professor Kudełko has pointed out that health impacts constitute more than half of these costs (pdf). 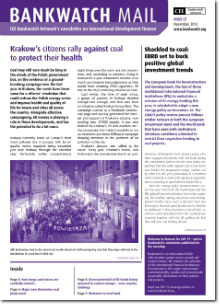 Health specialists say that Polish coal fired power stations cause 1,000 hospital admissions and 800,000 lost working days per year, costing patients, the national health system and the economy at large nearly EUR 8 billion per year in lost productivity. This data is confirmed by a report from the Health and Environment Alliance published in June this year. The scientific evidence that air pollution causes disease is no longer in doubt, according to Dr Michal Krzyzanowski, an epidemiologist working until recently at the World Health Organisation. And it is not as if Poland has no choice when it comes to energy sources. Dr. Maciej Bukowski, one of the authors of a recently published report ‘Roadmap 2050: Low Emission Poland 2050’ and president of the Institute for Structural Research, has said that the decisions that we need to take now will decide whether Poland maintains the rate at which it catches up with the leading economies in the world. Meanwhile, president of the Institute for Sustainable Development, Dr. Andrzej Kassenberg, believes that Poland should not hide behind others and not negotiate, but instead see a potential innovative, green economy as an opportunity, and not only for climate issues. In terms of the costs to be incurred from a clean energy transition, Kassenberg and others believe that a lot of opportunity lies in the forthcoming EU budget period for 2014-2010. According to the Polish Ministry of Regional Development, in 2014-2020 Poland will allocate only EUR 6.8 billion from the EU Cohesion Policy funds for improving energy efficiency, increasing the share of renewables in the energy mix and reducing emissions from transport in cities (pdf). How will these funds influence the development path of Polish regions? For one thing, look at the potential impact on the job market: it has been calculated that EUR 1 billion from the EU funds invested in energy saving initiatives for buildings can create 26,000 new, sustainable jobs, and in the case of renewable sources of energy this rises to as many as 53,000 jobs for the same sum (pdf). Local communities across Poland are calling on their government to stop its reckless addiction to coal. People threatened by Poland’s new lignite open-pit mine development plans are united in a coalition ‘Development YES, Open-pit mines NO’ that brings together local communities and local government representatives from five Polish regions, as well as environmental NGOs, including CEE Bankwatch Network. And opposition to Polish government plans is attracting international attention. The dubious legality of plans to build a new open-pit mine in Dolnoslaskie region, in south-west Poland, has for the last three years been under scrutiny at the European Parliament’s Petitions Committee. In September this year the Committee publicly presented a draft report on the issue following a fact finding mission to the region. In the report, members of the European Parliament expressed deep concern over the petitioners’ allegations that environmental organisations opposed to shale gas and coal power may be under surveillance from the secret services, while being suspected of representing a threat to national energy safety. The Euro-parliamentarians were particularly critical of the Polish government for brushing aside the views of an overwhelming majority of people who have made it clear – through a referendum held in 2009 – that they want to see development take place, but without dirty power stations. Also in September this year, Lubin – one of the municipalities in the Dolnoslaskie region – took its case to the Polish Constitutional Court. The community, supported by legal NGO Environmental Law Service, claims that the Concept for the National Spatial Planning (pdf), approved by the government in 2011 and which prohibits any new investments in the area of the deposit in order to ‘protect’ the resources, is unconstitutional as it infringes property rights. Communities from other Polish regions threatened by new open-pit mines gave their endorsement to the application filed by Lubin to the Constitutional Court. They also do not want to put up with the enforcement of new coal investments against the law and their well-being. Inhabitants of Gubin and Brody, two municipalities threatened by an open-pit mine in the Lubuskie region on the western border of Poland, have also expressed their opposition to government plans in local referenda held in 2009. However, the regional authorities, swayed by the investor Polish Energy Group that promotes a populist vision of a new Eldorado in the region, have ignored these votes. Politicians in Poland, of course, often face a clear conflict of interest, with the most astonishing example being the chairman of the local council in Brody, who also happens to be an employee of the PGE energy company. The upshot – a proposed mine in the area will result in half of the area of two municipalities disappearing, together with extensive damage to health and environment, and loss of agricultural jobs. And there’s no point in arguing. Yet another group of Polish citizens affected by the government’s coal addiction is demanding to live in a healthy environment. These are the citizens of Krakow, Poland’s second biggest city, which, according to a recent study by European Environmental Agency, occupies the third position on a list of almost 400 cities with the worst air quality in terms of particle pollution in the EU. Krakow is no exception in Poland – six out of the ten European cities with the worst air quality standards are located in Poland. Four of these – Gliwice, Zabrze, Sosnowiec and Katowice – belong to the Silesia region, a part of Poland historically associated with coal mining and burning. The Krakow campaign, aimed at bringing air quality back to safe standards in the city, has gained wide support. Just a few months ago, campaigners managed to convince the regional parliament to adopt an ambitious air quality programme, which includes a proposed banning of solid fuels (coal) heating for households in Kracow starting in 2018. 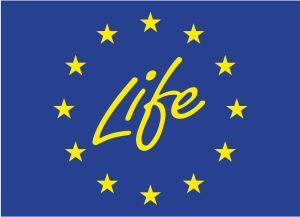 EUR 120 million of the EU funds would help to achieve this transition. Whether the regional authorities will adopt a resolution that includes this ban will be decided at the end of November. Thus, as COP 19 convenes in Warsaw, delegates will no doubt be aware of the affinity to coal and other fossil fuels that persists among our political classes. 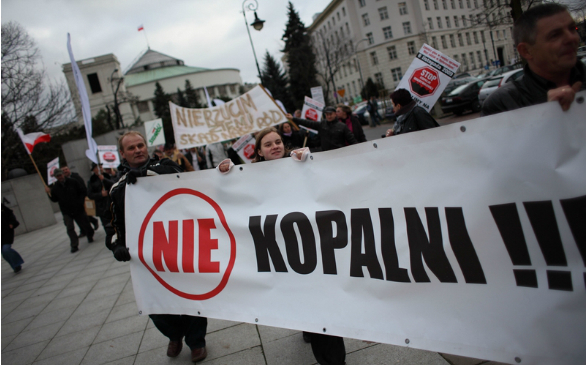 But the fightback is on, across Poland’s regions, in local communities, and in the streets.